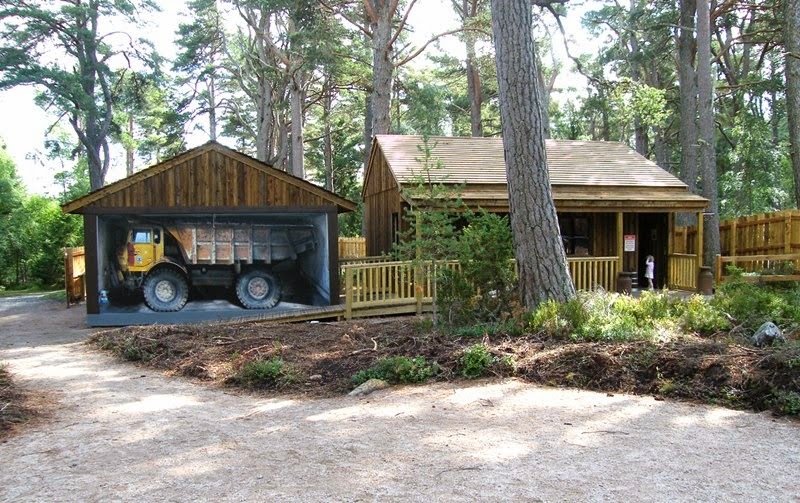 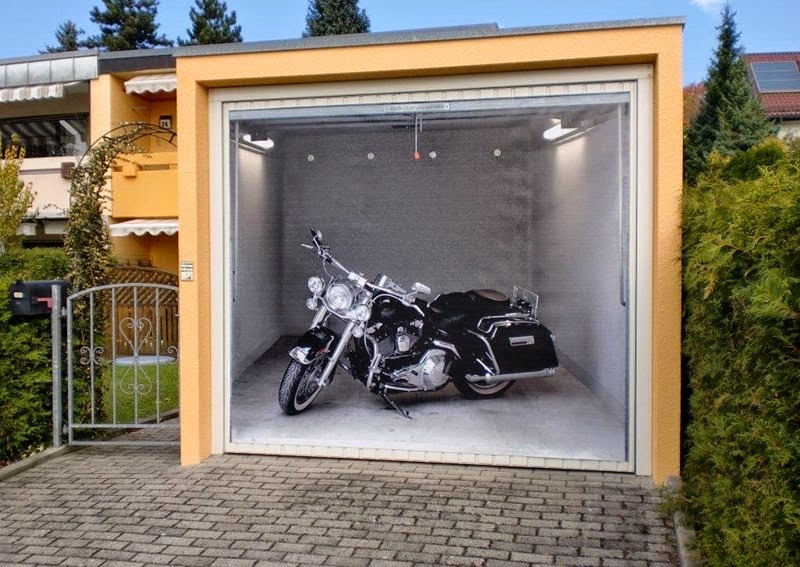 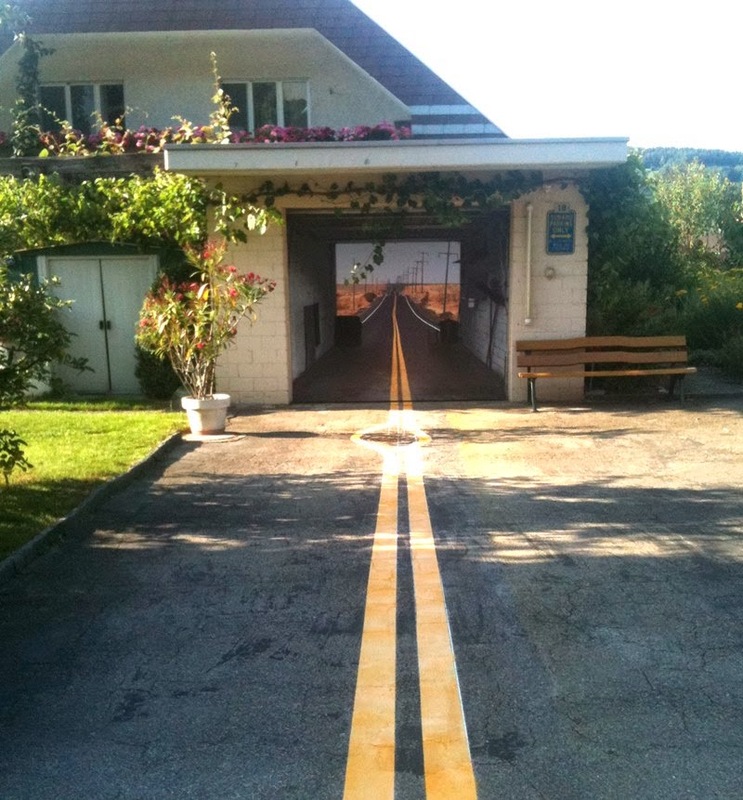 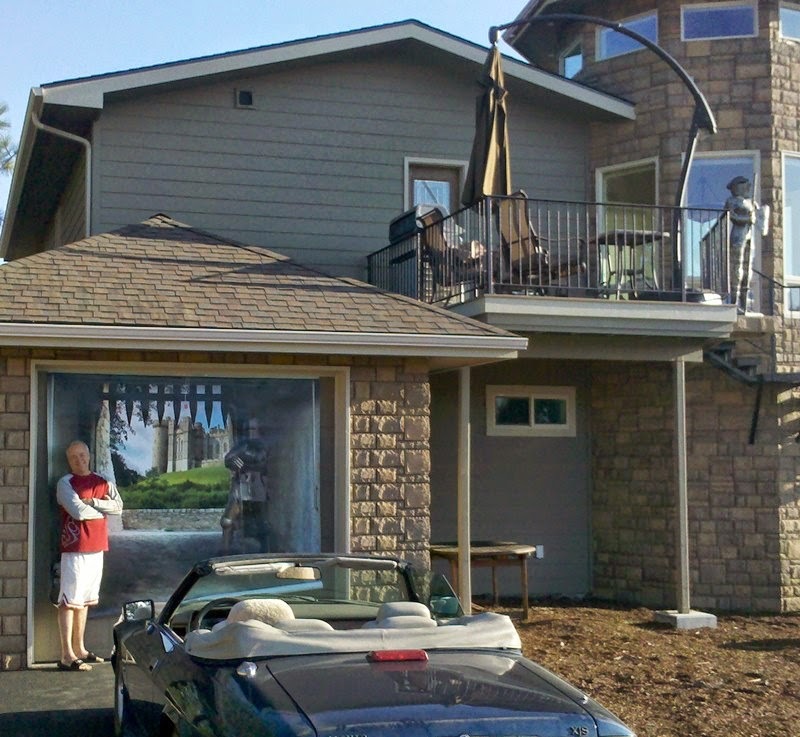 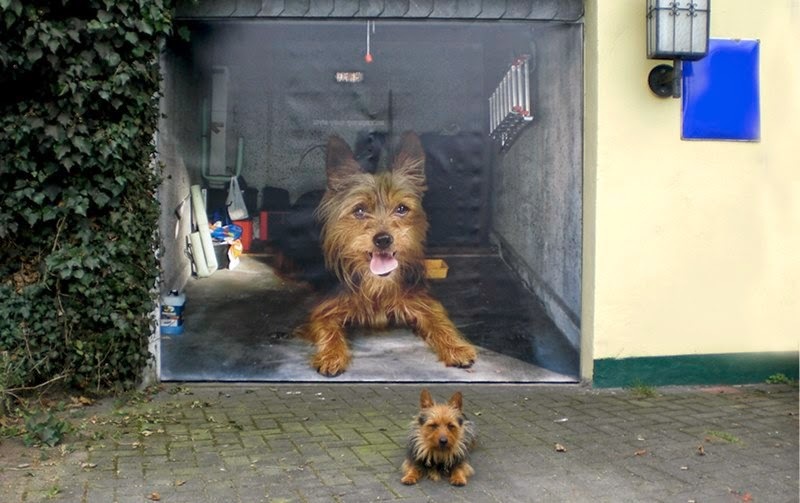 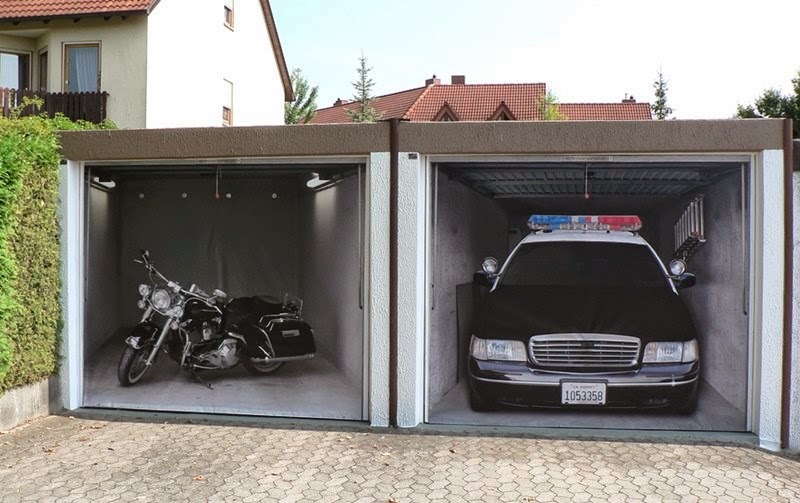 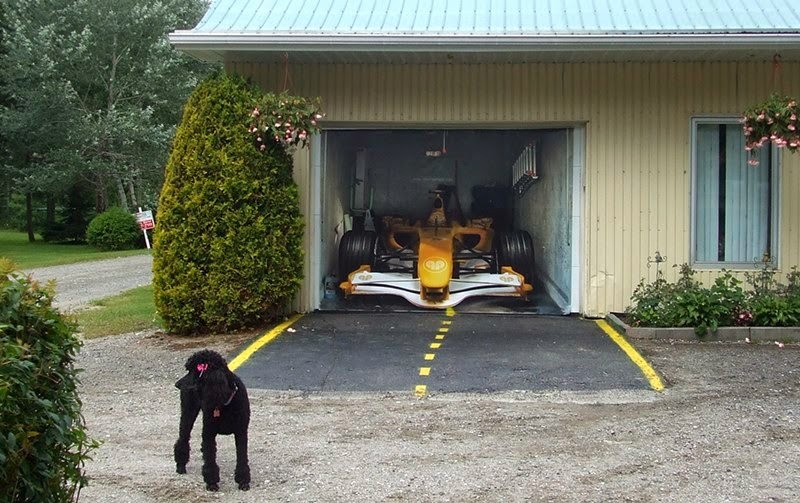 To decorate your garage in special way to create incredible optical illusions that would make any nosy neighbor envious of your lifestyle. 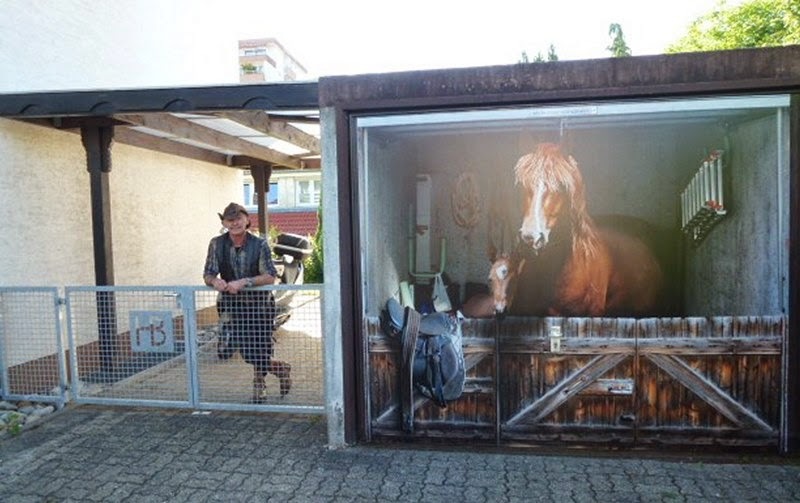 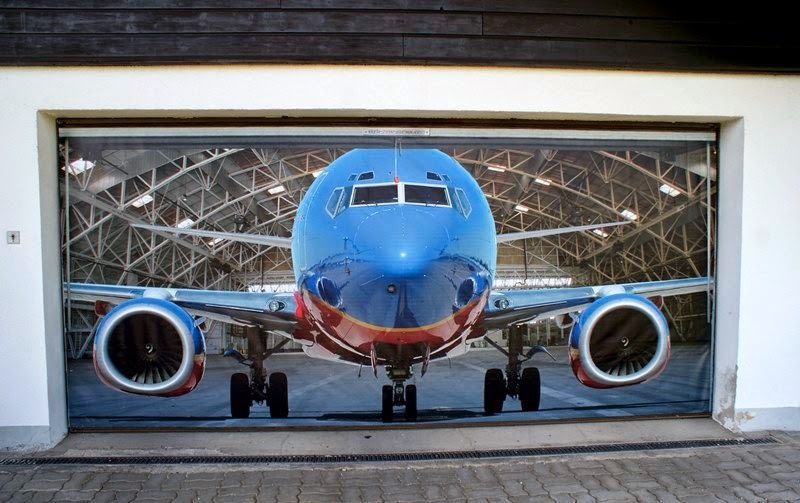 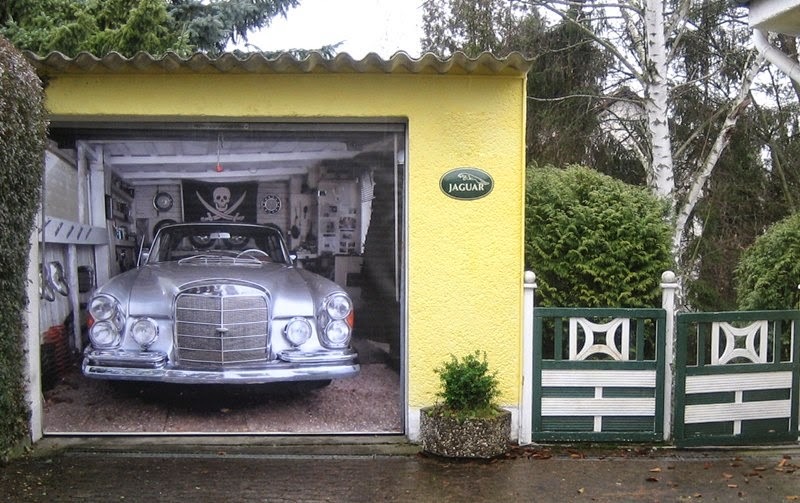 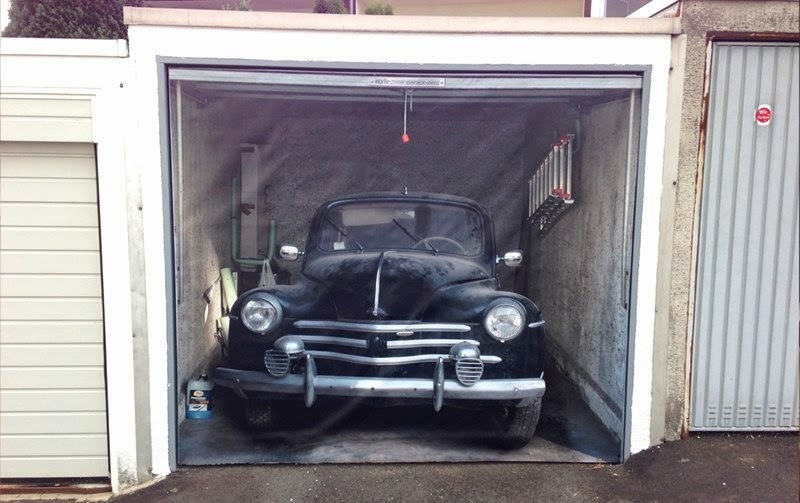 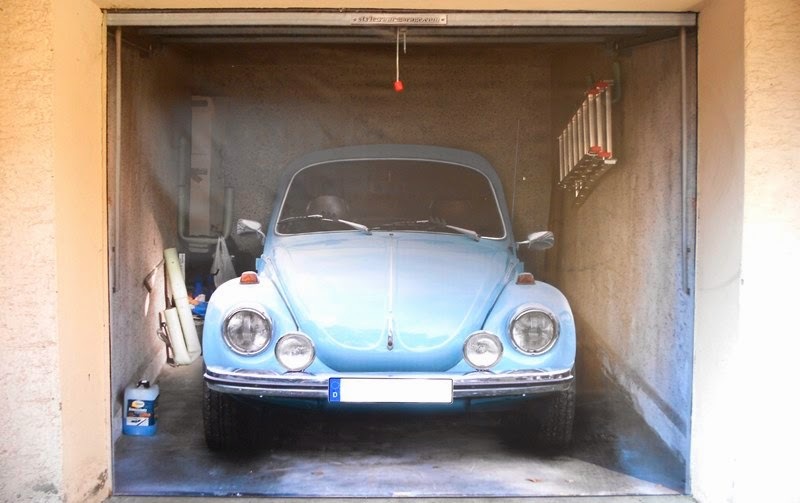 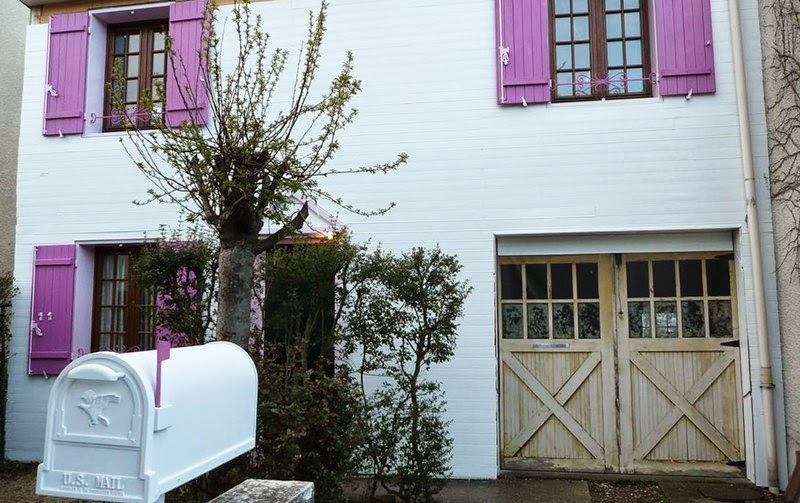 German company StyleYourGarage makes deceptively realistic garage door stickers that will cause neighbors, friends and passers-by to stop and stare. 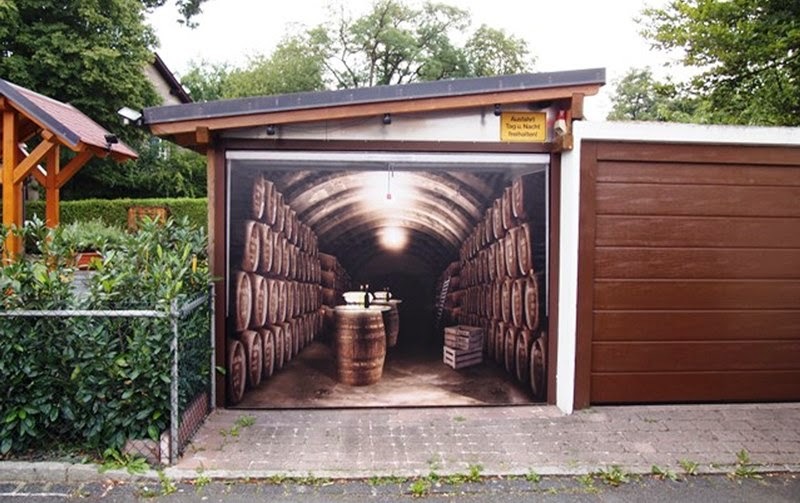 These garage billboards, as they are known, are made from high-quality material and can withstand sun, rain, wind and cold weather. 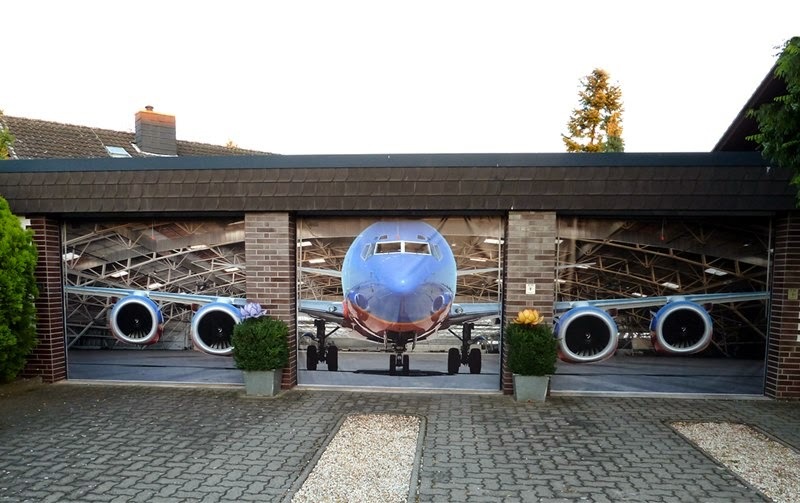 The designers added some elephants and alligators in there just for fun, this leaving aside the stickers that actually feature cars. 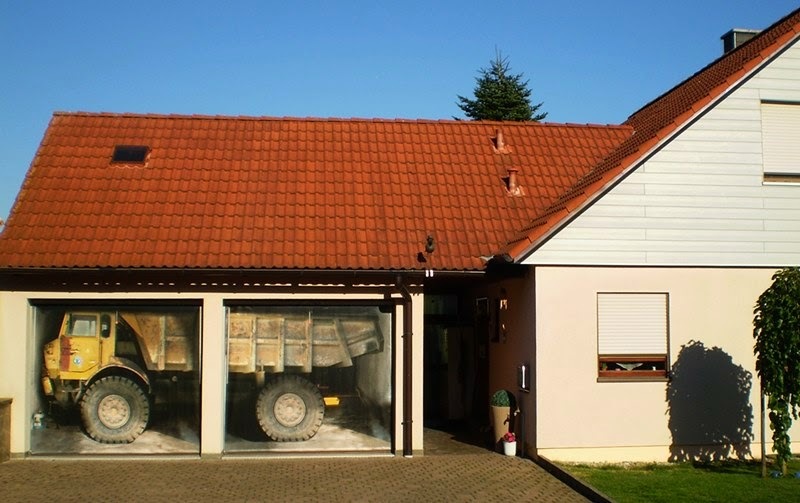 There is also a tank in there, a bunch of gold, a horse and a wine deposit. 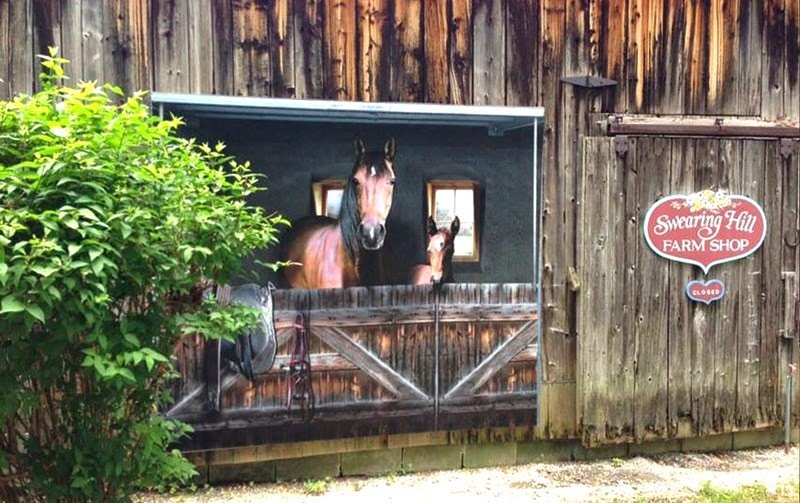 We feasted our eyes on each and everyone of them and we appreciate their subtle humor.